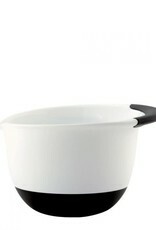 OXO Good Grips Mixing Bowls are great for whisking eggs, mixing batter and making marinades. 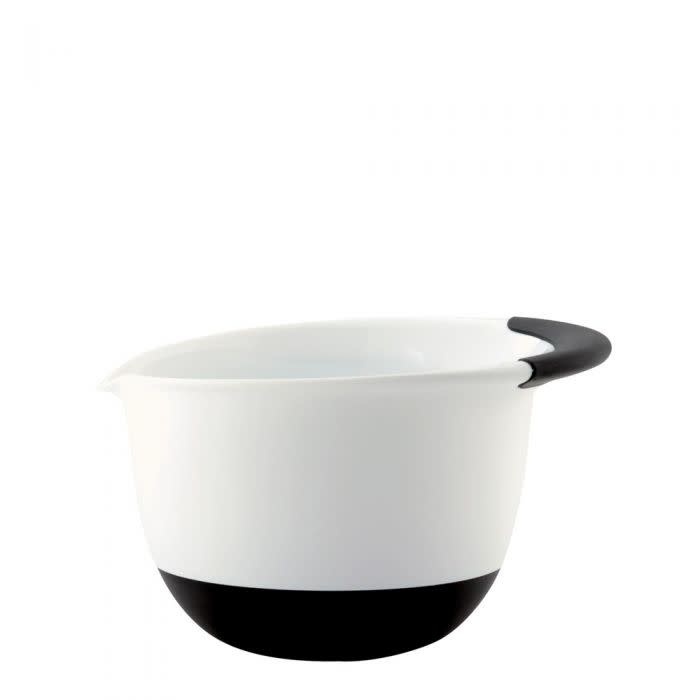 Available in 1 1/2, 3, and 5 quart sizes, the Bowls feature a soft, comfortable, non-slip handle that is easy to grip. A non-slip bottom stabilizes the Bowls while you perform mixing tasks, and a wide lip and pouring spout make it easier to pour ingredients. The three Bowls nest neatly for convenient storage.